If you have a toddler who has just entered this stage of development, these are probably some of the most heard words in your life now. And depending on the situation, the volume or the intensity with which they are uttered will vary greatly. Depending on your patience levels, this may be a truly trying time for you! If you’re like me, you want to great at teaching your toddler to share. We want our toddlers to be the ones who are placid and share nicely; you know the ones. And if your child is someone who has a hard time understanding why they should let every other child that arrives ‘ransack their toybox’, you’ve probably felt slightly embarrassed that your child is ‘still learning how to share’. Personally, I struggled with this stage quite a bit. I forgot the bit in the ‘good mum handbook’ that covered teaching your toddler to share because it was quite a while before the issue came up. When my first son was a toddler, I spent a lot of time at other people’s houses. Whether this was because I was the one willing to pack up myself, toddler, snacks, drinks & all other paraphenalia and travel to friends I’m not sure. But it did seem as though we went to other mum’s houses much more than they came to mine. This was fine with me; we got out of the house and got to spend time with friends who weren’t so good at getting out the door. We’d have coffee and the kids would potter for hours. My son was very good at being respectful of other children’s belongings. The downside of this was that he rarely had other children playing with ‘his toys’ in our home. He was a gorgeous little thing – the blondest hair and the bluest eyes and had a really (truly) lovely personality. He’d just not really had to share many of his own toys, books, DVDs etc. Compared to his room now (let’s not even think about the mountains of Lego, diaramas, books and dirty socks in his room as I type!) he kept his toys neatly put away in baskets. With just one little boy and me not working, I’d had the time to make labels for each toy basket and he was able to recognize these and pack away with me beautifully. The toyroom was turned upside down! I hadn’t spent time teaching my toddler to share so it was a whole new thing for him. Enquiring minds would wonder at each new basket, box and book and you could see his mind ticking over wondering how it could be possible that everyone was going through his stuff!! Inevitably, they’d all start to get tired and his patience would fade and the play date would end with me getting cross at him because he couldn’t just share. I mean I share don’t I? I open my home and welcome my friends and share … So why couldn’t he be the same? Why did he have to end up in a screaming mess everytime another child wanted to play with his toys? I realised I share, but I don’t share everything (whereas I was expecting him to). I realised that I’m old enough to understand that sharing doesn’t have to mean it’s gone forever. I realised that my friends are also old enough to understand that there are boundaries to sharing. So four kids on, we’ve come a long way with sharing. 1. Choose a neutral venue – organise to meet friends at the park, the beach or a local play centre. In this situation no one has ownership over the play equipment so there is less chance any one child will feel that another is touching ‘their stuff’. Most importantly, if you are all meeting at a neutral venue ensure you do not take toys from home (particularly scooters, pushers, bikes). The objective is to create common ground and remove the objects that might be seen as ‘mine’. 2. Create a sharing box with your child before playmates arrive – if you have friends with children coming, talk about this beforehand with your toddler. Tell them that it would be nice to choose some toys that everyone can play with. It’s important to let your child know they don’t need to share everything (it’s OK to have special toys). Create a ‘sharing box or basket’ together and have your child put all the toys they are happy to share into that basket. Then bring that basket into a common area (again, more neutral territory than their room) and close the door to the room that contains their special things. If your child starts to have trouble once the others arrive, praise him for being so happy to put together the ‘sharing box’. Sharing Boxes have been my lifesaver – I still use them with my now 8 and 6 year old! 3. Include excellent sharing toys in your collection - I used to find that the very best sharing toys were ones with lots of pieces where each child could participate in the same game but still have their own pieces. Great sharing toys include kitchen/cooking sets, Duplo, Play Dough, a ball pit you can set up in the lounge, a train set with lots of track and engines or loads of cheap buckets and spades for the beach. The more similar pieces within the set, the better! 4. Show your child that it’s fun to share – talk to your family and friends about the fact you’d like to show your child that sharing can work. 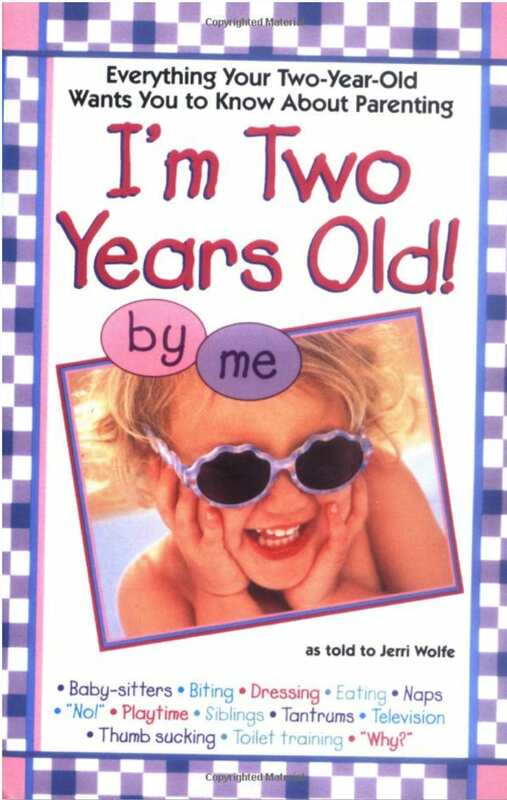 We started swapping books saying “I love this book and thought you would too. Why don’t you borrow it for a while?” and bringing a small bag of fruit saying “I was buying passionfruit and thought you’d like some too”. This worked wonders for us. In fact too well – everytime I did the groceries my little man wanted me to buy fruit for the entire Mothers’ Group! 5. Set children up to share well – if you’re going to someone else’s house, make their life easier by talking to your child about sharing before you get there. I used to have a standard that we’d go through … “You know how it’s a bit hard sometimes for you to share your toys? Well let’s remember that today it might be a bit hard for [little friend] to share her toys with you. Try to ask her first before you start playing with her toys”. Then once you’re there, spend a few minutes setting them up to share. Talk about which toys they are going to play with and which ones are special. 6. Stay within intervening distance – It’s easy to leave kids to their own devices particularly while they’re playing happily (in fact, it’s important to do this for them and you) but toddlers are tiny little people and need constant love and attention and help to share. 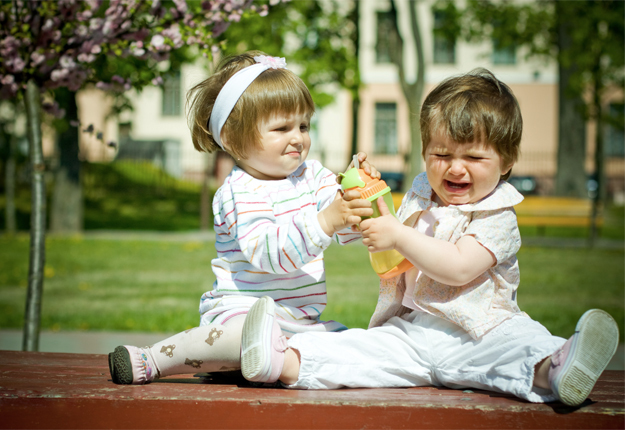 Sharing is such a big, grown up concept and in the heat of the moment, it’s hard to remember all the right things to do! 7. Praise good sharing behaviour – every time your child demonstrates good sharing behaviour, praise them verbally and with affection. There is no better reward than a big squeezy hug from mum. Every now and then, you might like to reward their good sharing behaviour by doing something special. This will depend on you and your attitude to rewards. For me, our reward was a walk to the beach for a little boy sized scoop of ice cream! About the time my first son was learning to share, my brother passed on a book which was invaluable. 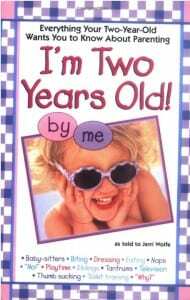 I’m Two Years Old deals with loads of typical toddler issues from the perspective of your child. While I can’t locate my copy amidst our renovation right now, I just read some snippets online and it still applies to my kids even years on. How have you gone getting your kids to share? Any hints or tips you’d like to add to our list? Comment so we know you’re reading. We were at a friends place one day and stayed there while the Mum went and collected the older one from school so she didn’t have to take the baby with her. They came home with one of her daughter’s friends and they were playing in the bedroom. They fought over a toy so much that she confiscated it. That was her easiest option at the time because the baby had just woken up crying and was very distressed. The sharing toys are kept in the playroom and living room, and the non sharing toys are kept in the bedroom. My son is an only child so I always had to work on the ‘sharing’ factor for when others were around. It obviously was something he wasn’t used to. We did learn and teach him to perhaps put his favourite thing away if someone was coming over or we were going somewhere and he didn’t want it broken/shared/played with. That avoided any problems. We always explained that sharing was the right thing to do and we didn’t seem to have too many problems. What a great article! My daughter has a hard time sharing and I can’t wait to try out some of these tips when we have friends over this weekend! My daughter went to Mother’s group from an early age and so had toys shared early, before she got to toddler. And then along came her sister and more sharing. They did pretty good. There will always be a meltdown when tired or sick etc but generally ok.
What a wonderful article ..love the idea of sharing box. thanx for the tips and points. thank you for sharing (lol) the sharing box idea! I did most of these things with my daughter, although the sharing box is a brilliant idea, I will be using that for my son. I like the idea of the sharing box. Your tips are spot on, thank you. I’m lucky that my 4 kids do (almost always) share well, but I still talk to my 2 1/2 year old before her cousins visit. She is stunned when they don’t share and confused when she visits their home and sees duplicates of almost every toy. And thanks for passing on the name of the book.